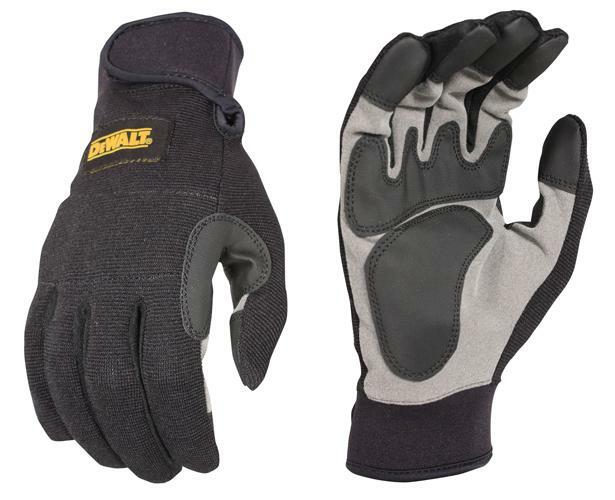 DeWalt DPG217 Gloves SecureFit General Utility with grip enhancing rubberized finger and palm overlays provides a lightweight, comfortable fit with excellent durability. Hook & loop wrist closure provides a secure fit. Reinforced fingers for better grip and durability. Lightweight, breathable material allows for a cool, comfortable fit. Reinforced saddle overlay provides additional durability. 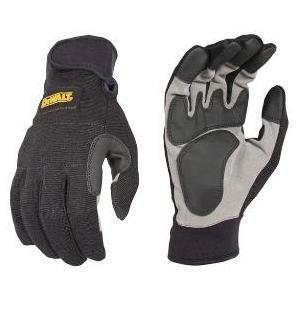 Foam padded knuckle guard provides added protection. Uses- Hand Tools, Assembly, Equipment Operation. Machine Washable, Abrasion Resistant. Size Medium, Large and X-Large.